A Delaware man was arrested Monday and charged with failing to stop in connection with a hit-skip accident that left a man in the hospital over St. Patrick’s Day weekend. City of Delaware Police announced Thursday that they had arrested Devon T. Tosco, 24, of Delaware and charged him with failing to stop, a fourth-degree felony after a traffic crash at the intersection of William Street and Sandusky Street. The affidavit filed in Municipal Court states that Tosco struck a pedestrian in the walkway but did not stop afterwards on the evening of March 16. Police report that D’Shawn Almanson, 22, of Delaware, was flung after the crash and became pinned under a parked car, where firefighters had to rescue him. He was then taken to Grant Medical Center. A GoFundMe page set up for his medical expenses notes Almanson suffered several injuries, including a broken femur, two broken legs, and a broken elbow. The GoFundMe “D’Shawn’s Got This!” page can be found at https://www.gofundme.com/d039shawn039s-got-this. After the crash, police published a photo and were asking for the community’s help in locating a 1995 black Nissan Maxima. Police said Thursday that they located the vehicle, registered to Tosco, on Wednesday in Morrow County. Tosco appeared in Delaware Municipal Court on Tuesday and had his bond set at $150,000. 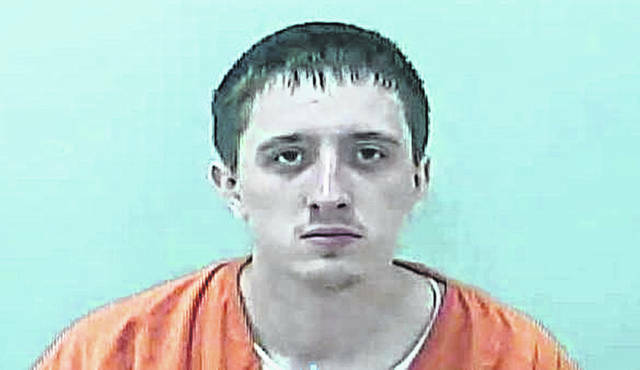 Tosco was in the Delaware County Jail Thursday afternoon. According to the crash report, police estimate the vehicle was traveling an estimated 50 to 55 miles per hour, and the majority of witnesses provided police with statements that said the vehicle ran the red light at the intersection. 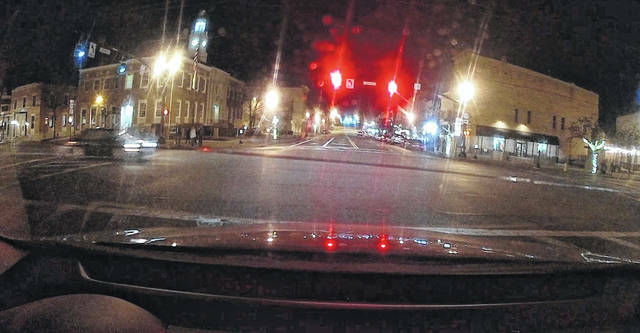 However, dash cam footage from a vehicle traveling south on Sandusky Street appears to contradict witnesses by showing that the William Street light was green when the crash occurred. The investigation continues and persons with information are asked to contact the Delaware Police Department tip line at 740-203-1112 or policetipline@delawareohio.net.